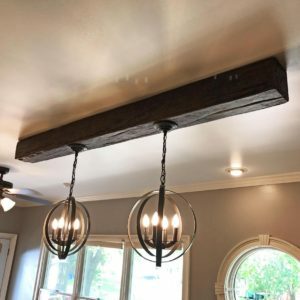 Faux wood beams look amazing as a traditional installation on your ceiling. They bring that rustic look to any room. 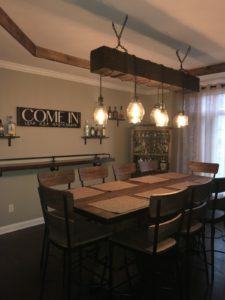 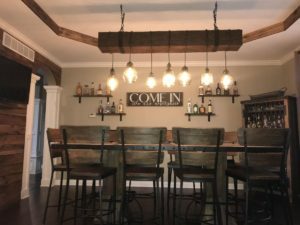 We have some amazing customers who get even more creative with using these beams in a unique way. 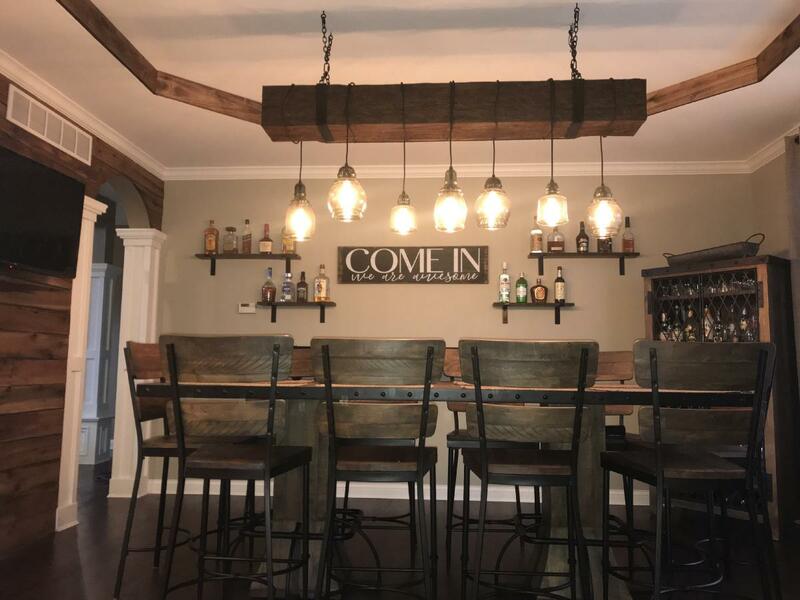 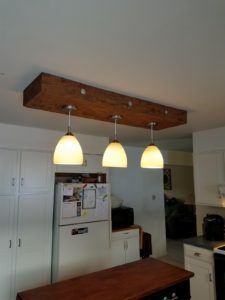 Take a look at how these beams were used to accent a lighting piece.